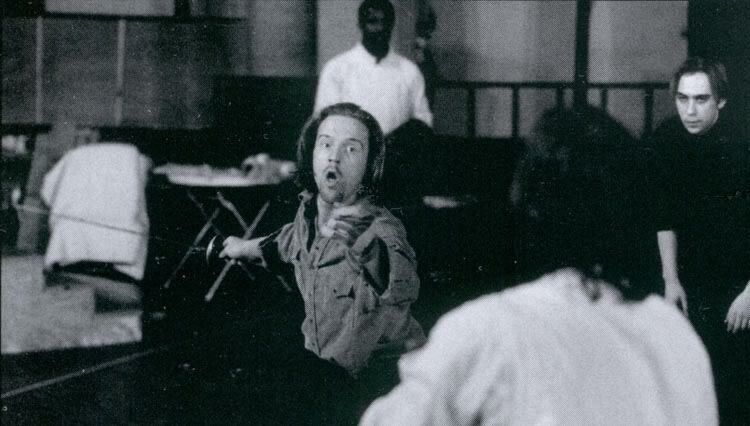 Damian does his Broadway debut as Laertes to Ralph Fiennes’ Hamlet in 1995. The Almeida Theatre production is staged first at Hackney Empire in March 1995, and after its successful run in London, it comes to Broadway in the summer of 1995 — OMG, yes, almost twenty two years ago! 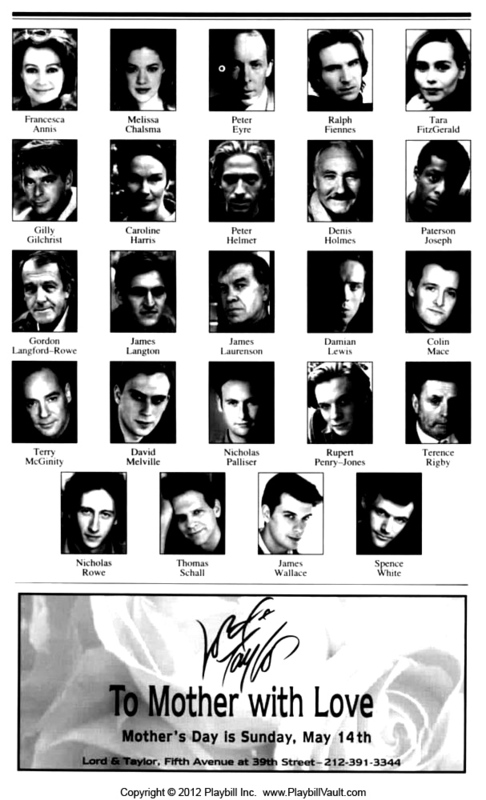 Can you spot a very young Damian in the playbill? Well, we talked about Rope, Romeo and Juliet, The School for Wives and Hamlet (Regents Park) earlier here. I still need to see if Mickey Love is available somewhere and you all can see our favorite guy in Poirot: Hickory Dickory Dock since it is available on DVD. 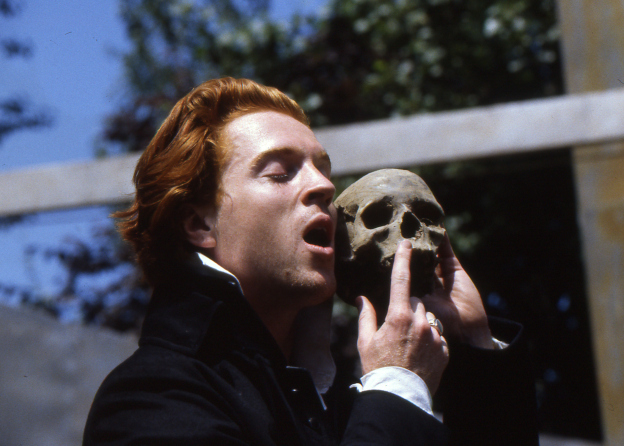 “It was 1995, and I was on Broadway playing Laertes in the hit production of Hamlet. Ralph Fiennes, who was playing Hamlet, was at sort of the height of his fame. All of us young British actors lived two lives in New York. Our public face was hardworking British thespians performing Shakespeare on stage by day, and at night we availed ourselves of all the pleasures New York has to offer. It became our playground. Sometimes I wouldn’t get to bed until 6 in the morning, and then wake up at 12 and stagger to midtown for a matinee. Early on in Hamlet, Laertes is sent away to Paris by his father, Polonious, and sometimes I was so exhausted from running around all night with my pals that I would sleep for an hour in the middle of the show in a little bed, which I had erected underneath the costume rail. These thick tunics smelling of old theatrical wardrobes would brush my nose as I went into a deep slumber. Someone would nudge me five minutes before I had to go back, and then I would leap out of my cot, splash water on my face, and run on stage and yell to Ophelia, “The king, the king’s to blame!” Looking back, I can’t believe I did it. I was young and foolish. “Is my eye still in?” Wow! As someone who works primarily in front of a live audience, it’s awesome to see and hear all about Damian’s history with live theatre. The story of him napping between scenes is amazing-I am sure that the poor stage manager must have been more than annoyed by that!